We had two blogiversary giveaways this week (more to celebratory hooplah coming throughout July). First, you provided a huge list of helpful and funny and informative websites you visit daily. I encourage you to check out the comments to find some new sites to follow. The winner was April V. who said "I really like SmartSource b/c they have some awesome coupons that really help you save $$! I love them too April! Second, I had a Facebook giveaway to see if you guess songs on my Clean the House playlist. 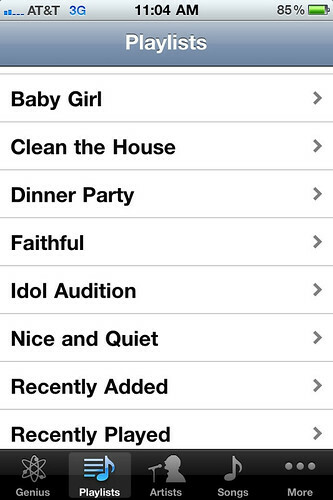 The Baby Girl playlist is for a friend about to birth one. It includes a lovely cover of Sweet Child O' Mine. 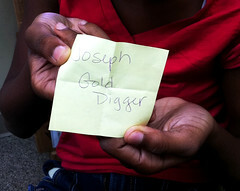 Joseph who correctly guessed Gold Digger and was pulled out of a hat my lovely 12-year-old assistant Mary. 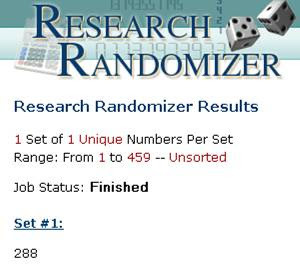 Congrats to April and Joseph - email me at jamiesrabbits@gmail.com to claim your bounty! And the rest of you should feel free to share concerns about my playlist or suggest your favorites! 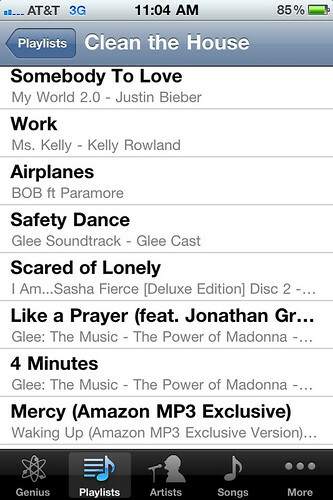 I'm pretty sure it's a federal crime to have Stevie Wonder and Justin Bieber in the same playlist. Expect a visit from the FBI. TP: I was concerned about mixing my Bieber fever and anyone. But the house is the cleaner for it.